Biodegredable Nespresso®* compatible hot chocolate caramel pods. 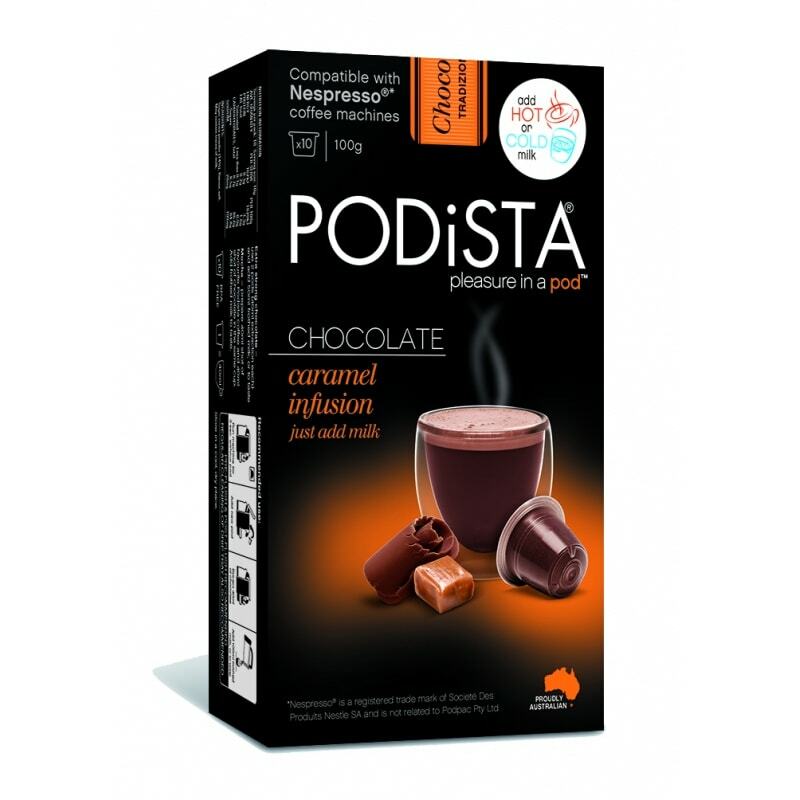 Mixing a sweet, buttery flavour of caramel with our hot chocolate pods. Name a desert you love that caramel sauce does not compliment? That's why our caramel (Nespresso®* compatible) capsules are for you. 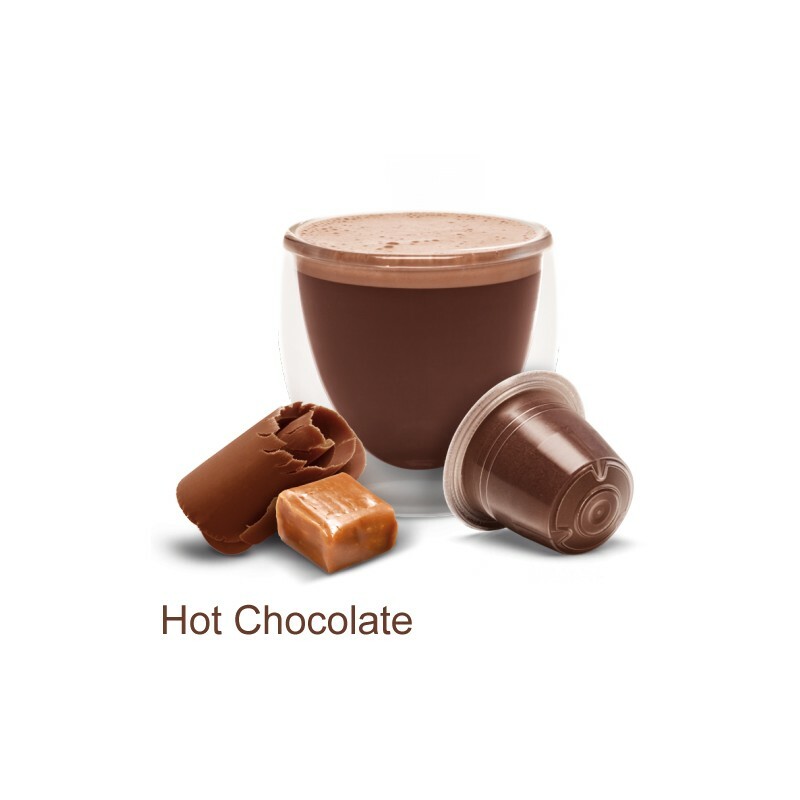 Did you know you can also drink your Nespresso compatible Caramel Hot Chocolate capsules COLD, just extract over Ice and add cold milk, for a delicious alternative! 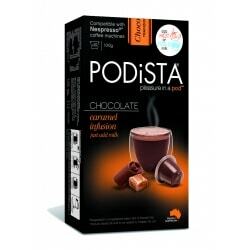 Ingredients: Sugar, cocoa powder (14%), flavours, salt. May contain traces of milk.